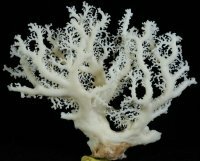 Rare Deep Water Lace Coral from New Caledonia [NCALCORAL-02] : Fossils Online, Welcome! 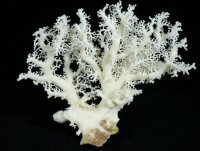 Rare, and gorgeous coral from the depths of New Caledonia. 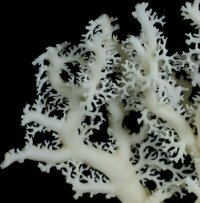 This delicate coral was recovered from the dredges while searching for shark teeth. I don't know how it survived, but it's an amazing thing to look at. The dredge operators told me it was not uncommon for some shark teeth to have these attached to them. I'm working on getting one. 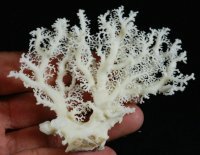 Dredging is now prohibited, so what's out there, which isn't much, is all that will be available.